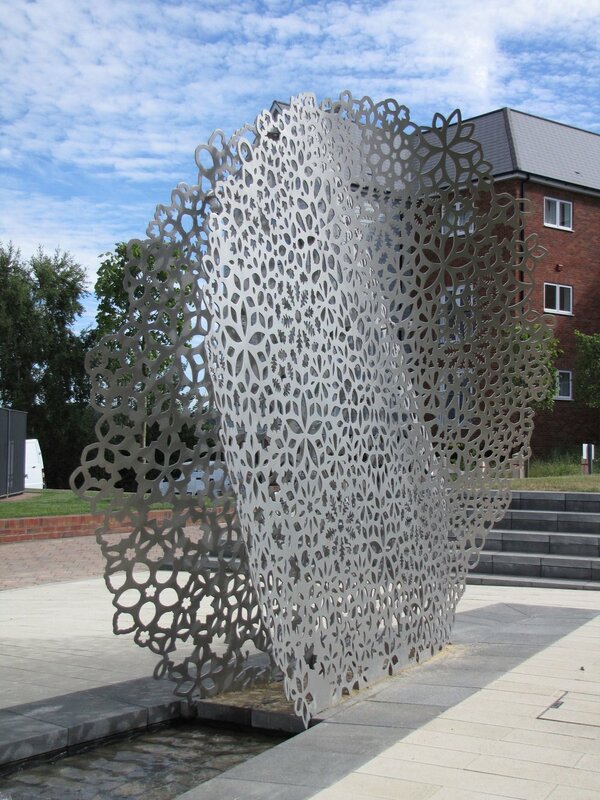 Focal Point was conceived as a celebration of the birth of a new community at Knights Wood. The intention was to create something dynamic and intriguing that would correspond with the point of a large dart shaped water feature at the heart of the town square. 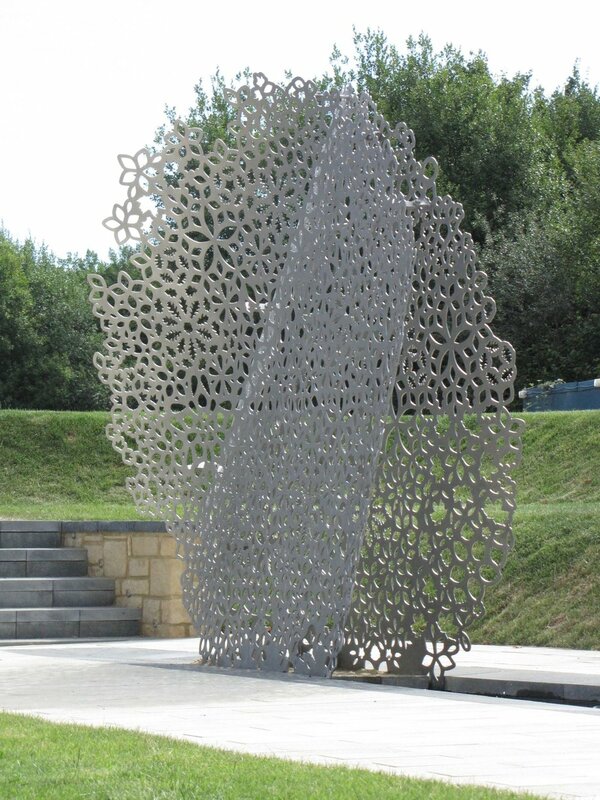 The inspiration for the pattern of holes in the surface and the overall shape of the sculpture, was drawn from two sources: The first was the overlapping interference pattern of ripples created on the surface of the water by bubbling water jets, the idea of somehow echoing that within a solid form felt like an appropriate starting point. The second was to draw from the name of the new development, “Knights Wood” by exploring the well-established, and now reinvigorated, woodland which surrounds the development. Specimen leaves, nuts and cones were collected from the woodland and arranged into a lace like sequence of natural shapes. All the shapes represented are from native and non-native trees found in the vicinity of Knights Wood. The fractal pattern is based on Penrose Tiling, a non-periodic tessellation that continues to fascinate both artists and scientists, it is named after the mathematician and physicist Sir Roger Penrose, who investigated the pattern in the 1970’s.